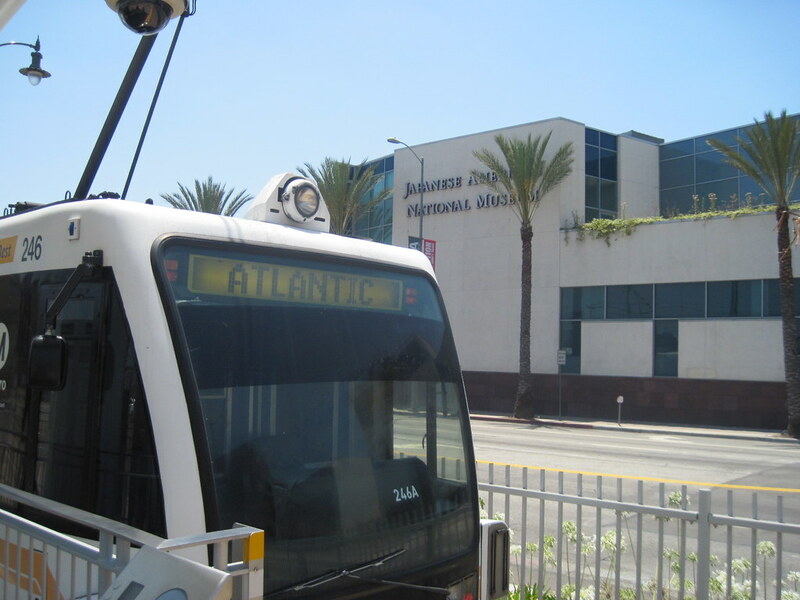 Last week, the Metropolitan Transportation Authority released to the public the Draft Environmental Impact Report (EIR) for the Regional Connector light rail construction project. This incredibly important rail project would link together several light rail lines in downtown Los Angeles: the Blue Line to Long Beach, the Expo Line to USC, Culver City and Santa Monica and the Gold Line to Pasadena, East Los Angeles, Azusa and (eventually) Ontario. Little Tokyo would benefit hugely from this project: Local residents would have a direct link to four corners of Los Angeles County, while visitors to the area would have a much easier way to avoid traffic and parking. Of course, there would also be costs to a project of this scale: construction can be messy, and some types of construction would be messier than others. During the Draft EIR process, the MTA asked the public what they wanted: where should the stations be placed, should it be ground-level or underground, etc. And the Little Tokyo community responded LOUDLY. Well, the MTA listened to Little Tokyo's concerns, and the Draft EIR gives Little Tokyo pretty much everything the community wanted. Completely underground? Done. Don't disturb Nishi Hongwanji? Done. The new light rail subway station will be about one block further into the heart of Little Tokyo than the existing light rail station at First and Alameda. The station will run diagonally across the "Office Depot block" from the corner of Second and Central to First and Alameda. Just one minor issue remains, as far as I'm concerned: All of the Draft EIR documents show the station as "Second and Central" instead of "Little Tokyo". This new station will be across the street from the Japanese American National Museum and a very short stroll to the Go For Broke monument, Japanese Village Plaza, Anime Jungle, the JACCC and every major attraction in Little Tokyo. It deserves the name "Little Tokyo". There will also be a public hearing on the Regional Connector at JANM at 6:30 p.m. on Sept. 28. Little Tokyo deserves this station, and it deserves a station name.